A funny thing happened last Friday. The weather here in Tulsa finally coaxed me outside, away from my treadmill, and somehow, even with my training being horribly inconsistent, I knocked almost 30 seconds off of my PR and ran a 19:48 5K. How did I do it? I think there are likely three potential contributing factors. I feel like I post way too much on the blog about my health, and I would rather avoid using my health as an excuse for missing my goals. That said, I have had a rough winter. Things went sideways in August, and then shortly after my last 5K PR, my health went further downhill to the point that a lot of days I was doing the absolute minimum to get by. About 2 weeks ago, though, my body just kind of magically started working better again. I still have days where I experience severe fatigue, but I’m having the occasional day where my energy is back. Friday was one of those days. Well, my first run in the Nike Zoom Vaporfly 4% led me to believe they wouldn’t do much for my 5K time, but after putting in a few miles with the 4%, I think my initial evaluation was wrong. From what I’ve observed, the 4% shifts some of the running load from the hamstrings to the quads, and it took some time for my quads to adjust. To be clear, I could not have run 19:48 in any other shoes I own right now. 20 minutes? Maybe…but not 19:48. I was getting pretty discouraged a couple of weeks ago when #runchat came around. I had tweaked my routine, but I wasn’t seeing a lot of improvement. At the end of #runchat, I asked for opinions on how to adjust my training and got some pretty good advice. Following the advice from @srunsfitness, I increased my strength training from once to twice a week, adding more lower body work in the process. As I wrote about previously, 200’s and 400’s weren’t getting the job done so I had moved to 800’s. @CraigWeich encouraged me to take it one or two laps further. 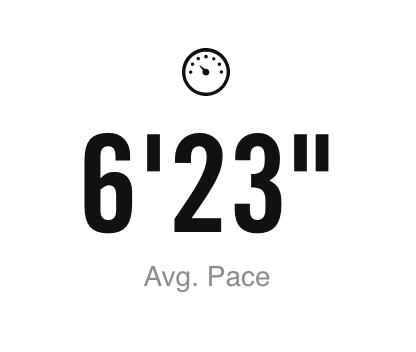 Mile repeats made a huge difference in the difficulty of my workouts so I can only assume they contributed significantly to my ability to run sub-20. What was interesting about the run was that the conditions were almost identical to my previous attempt. The weather was unseasonably warm at about 60F, slightly warmer than my last attempt but not by much. A stiff southeast wind helped me in a couple of sections and slowed me in others, just like the previous attempt. Almost as an afterthought, I decided to go out on a Friday afternoon and see how things felt. I had done strength training the day before, but I didn’t feel too terribly sore. After mulling over my potential route options, I settled on running the exact same route again so I would be comparing apples to apples. 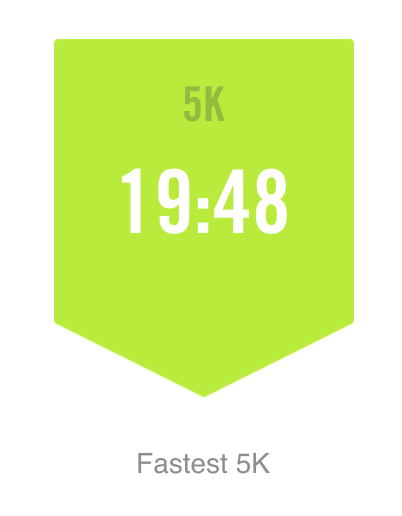 Unlike previous attempts, I did not lay off the pace in the first mile. It’s not unusual for me to be in the high 5’s at the half mile mark, and when I see that on my watch, I let off the gas a bit. This time I just ignored my watch and kept pressing the pace. My quads were bothering me a bit so I struggled a bit, but t was still the fastest mile I’ve ever recorded at 5:58. Mile 2 was more the kind of pace I should have been running. It was a little slow at 6:29, but it was in the ballpark. In some of my previous attempts, I’ve had to catch my breath in mile 2 so the pace gave me hope, but I was suffering more than I should have been. Mile 3 was a disaster. I almost gave up, but I couldn’t quit thinking about the amount of time I had banked in mile 1. I know that’s not how you’re supposed to run, but it worked for me this time. I held on for dear life and managed to run 6:39. Was this the best 5K I could run? I don’t think so. I think I could improve miles 2 and 3 dramatically, possibly approaching 18 minutes, but to be honest, I’m not enjoying 5K training much. Even though I plan to set my sights on something longer for the Spring, I do want to formalize a 5K training plan to help others like me. So stay tuned if you want a more formal training plan to help you improve your 5K time.